A client recently asked us to produce a viral video that is funny. The only other direction was the video also had to tell the viewer how the client’s service works. Now this was a tall order and a fun challenge. Our leading concept involved turning the company’s logo into a mascot (i.e. a person in an animal costume), doing ridiculous things and than recording the real reactions of people around the silliness. As a result the feeling one gets from the client’s video would be closer to Dollar Shave Club then it would be to one of the new videos we created for Single Throw Internet Marketing…. and that is the simple choice of tone. One of the first questions I ask a new client is how would you like to be perceived by your audience? Simply put, do you want to be perceived as whimsical and fun or do you want to come off as serious and buttoned-up? Is your audience looking to be informed or entertained? And does the audience want to interact with your brand in the process? Now the end video can easily be a combination of all of the above but one of these will be the priority. 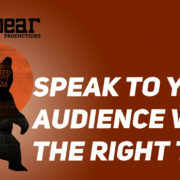 Their (the audience’s) priority should influence the tone of the engagement. What is the current perception of the brand? And are you happy with that perception? Changes can inspire a new tone. This is really about following through on your brand. Think of the conservative JC Penney from 10 years ago vs. the current hipper JCP. Think of the tools you have at your disposal By tools I am talking about music (i.e. classical music vs. hip hop), animation (i.e. cartoons vs. complex renderings), the pace of editing, even the particular environment that you record the video in can help shape tone (i.e. If you are an event company a video shoot at a bar could work. If you are a medical group that might not be the right tone for your image). I will be posting a “video article” for Streaming Media Producer shortly on this subject. The focus will be to help content producers use the tools at their disposal to shape the tone of the piece. Please reach out to us at info@madbearproductions.com if you would like a link to that video when it is completed or if you have any questions about tone in general we would love to hear from you. Last month, I moved 3,000 miles across the country. Well, 2,910 miles really, but who’s counting? In February I started researching and in the span of about six weeks, I became a big consumer of products and services I previously had known very little about. As someone who regularly advises businesses and artists on their web marketing, on their grand stories, on their content strategy, it was an interesting user-experience exercise. What worked? What didn’t? What made me buy? These were big purchases, from $300 (boxes and twine) to $25,000, (a new car), often researched and purchased completely on line. I even chose a house, sight unseen. Googling “Cross-Country Move” is a little like going to WebMD and searching, “White Spots on Tongue” or “Tingling in Left Calf”. All signs lead to “Brace yourself. You are in for a terrible experience.” You have sickle cell anemia and all of your things are about to be lost, broken, held for ransom in Utah, or worse. The company you chose to move everything you own won’t return your calls. And neither will your insurance company. Yelp is the WebMD of consumer spending. It is a freak show. In the micro-decisions and big decisions I made as I navigated the web, “Should I do a full-service move or use Pods? Should I DIY this? Absolutely not. If I were to do a freight or POD move, which company would I use?” I realized that what separated the reputable and the no-way-in-hell websites, was one thing: video. Video created trust. Video told me, “Relax. We do this all the time. We will break it down into small, bite-sized steps and tell you exactly what to expect.” The company I went with to move me, they even created a DVD packet that they sent me in the mail. I tweeted them MAIL?! That’s stupid. Have you heard of the internet? And they tweeted me right back. They had heard of the internet. And they have their DVD packet online too. Relax. I was showing my high strung New Yorkiness. They were showing their excellent customer service. My partner and I watched the “how to load your stuff in the bulk head video” over and over again. It was like what I imagine going to a lamaze class is, a preparation for the big event, so on the big day, we would know what to do and how to breathe. We had the video queued up and ready on our phones for our movers to watch as they loaded the bulk-head. They had done this before. They rolled their eyes. Turns out, they have videos on their website, too. When I felt overwhelmed, I would watch a how-to pack video, a how-to load everything you own into thirteen feet of space video, what car should I buy in 2012 video. For six weeks, before I went to bed, I would watch a video produced by a company I was about to hand over a bunch of money to. DEAR BUSINESS OWNER, THERE IS A LESSON FOR YOU IN THIS. Video is more important than ever. It is ubiquitous, it is shareable, it puts a human face — or faces — on your brand. Videos can be instructive, funny, create levity for a stressful experience, be helpful, and help me make it easy to give you all of my money with a smile on my face. Assure me. It also means I spend less time dialing your 1-800 number trying to talk to someone. It’s like using the TV as a babysitter for your customers. Video can save you money. 1. What story can I tell in two minutes that gets at WHY I DO WHAT I DO? ABF — the moving company I chose — succinctly tells the story of why putting your stuff in a freight truck makes a crazy amount of sense. Cheaper, more reliable, easy. 2. How can I break down the product or service I offer in a way that is helpful to answer the needs of my customers? 3. Are there any customers who would be willing to GIVE ME A VIDEO TESTIMONIAL? I bought a car based on video reviews of others who had just bought the same car. And they gave tours. Lots of them. With no buyer’s remorse. 4. What content do my customer service reps or do I give to potential customers over and over again? 5. What expertise do I have that isn’t directly related to selling my product or service, but is related to helping my customer in the moment? Videos on how to pack pictures, videos on what to think about as you set up in a new city, all of that content was related to me creating a connection with the brand. And hanging out on their website for longer than necessary. Now I’m settling into a new life on a new coast in a new city (Portland, Oregon). Yes, I have heard of Portlandia. I watched it on YouTube before I bought Season Two. Melea Seward is a web strategist for small businesses, non-profits, artists, and the occasional corporation. Her website is at Chief Amusement Designer, where she is the resident CAD. She also founded Board of Us, which is a little like Fight Club for business owners and artists. She can be found online at @boardofus. She lives in Portland, OR and works in New York, NY. Peggy Dau is the founder of MAD Perspectives (Yes… another “Mad” company). Her company guides businesses on how to use social media to create an audience and generate leads. Zach Smith is the founder of Analog Method. His company designs and programs web applications to generate business success. Social Media is about engagement. It doesn’t always work and for many companies has turned into an alternative “push” marketing channel. However, the opportunity for engagement does exist. What does that mean? It means an interaction between 2 or more people, sharing thoughts and responding to comments. Video is the best way to share content as it’s more memorable. But at its core it is not social. It’s one way, unless of course you are video conferencing. The challenge is to create engagement around the video. Social media replaces the water cooler as the forum for that engagement. Viewers of the video can post comments, debate the topics shared in the video. This is working very well at the consumer level if you consider the volume of conversation that surrounds content posted by TV series on Facebook. For example, I “like” Mad Men. Every week, AMC posts excerpts from that weeks episode inviting comments on the topic highlighted. Engagement is occurring between viewers (not so much between viewers and producers). AMC also posts incremental “behind the scenes” content to further engage the viewer. So, how does this translate for business? It comes back to the same old questions. Which social platforms are business customers using to consume content? How interactive are those platforms? Will the company monitor the channel to actually engage with the viewer? Will they probe for thoughts or prompt & invite debate? I actually think this could be a great idea for the right type of business – invite followers to view a video as they like, but then invite them to tweet up to debate the topic. Could be about the technology, relative benefits of the product/service, trends to drive further product development, whatever. Tools to simplify sharing are great (click here for some options). I’ve also checked out Unruly (love those brits!). Bottom line…. Ask how and why do you want your potential customers to engage and then ask how do you drive and support the engagement. · Set a primary goal and maybe one (1) secondary one with a lower commitment. What is the call to action (CTA)? Perhaps the main CTA is to purchase a widget, so the secondary one could be to subscribe to get valuable information through the newsletter. The temptation of putting everything on your landing or home page will reduce its impact, so keep the content and design simple and focused. · Stay consistent. The same message that brings the user to the page should be used on the page itself to keep continuity. · Measure, test and refine. Make sure you have metrics and conversion tracking in place to know how people are responding to your landing page. Ideally, you’ll want to pit several versions of the page against each other to see which messages and designs elicit the best response. Givit – ever want to send video in an email but were stymied by the 25 megabyte limit? That is where Givit comes in… you can upload files to the Givit server and then deliver/share the files by using a secure email. As you will see in their video It is an effective method to share family videos without sharing them with the world. However, t is also a cool way to privately share and collaborate on business related content as well. Their intro video is below. 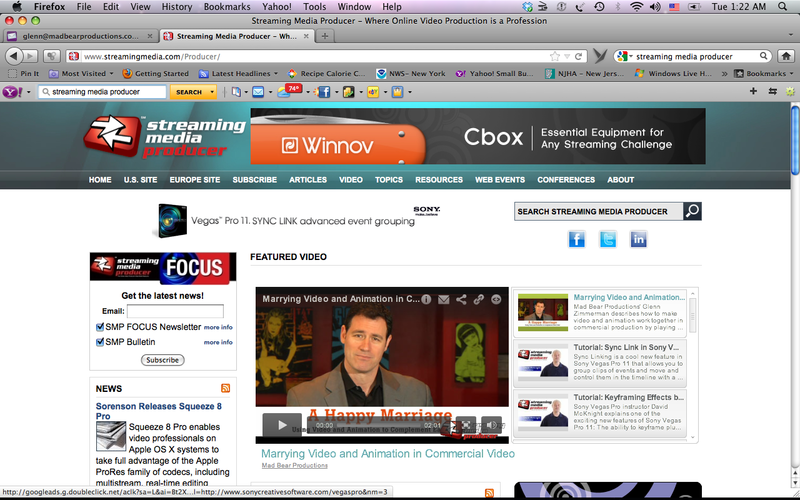 Viewbix – a platform that can lay on top of a YouTube video (for example) in order to make the video more actionable. These engagement buttons are customizable so a viewer will be able to interact with the video. You can embed the video anywhere so please check it out. Did the features help you engage with the video? Love to hear your thoughts. uStudio – many of you know TubeMogul. If you don’t it is basically a tool to distribute video onto multiple platforms (i.e. YouTube, Vimeo, etc) with the click of a button. And many of you have heard of or used Brightcove. It is a video platform with built in analytics so you can track how long a video was viewed, measure conversions and determine where the person came from before viewing your video. uStudio combines these two concepts and does it in a way that allows you to manage all of your video content on all of your different platforms from one hub. I have included their intro video below and yes … I posted it using their platform. Please let me know if you would like me to send you an invitation. My first piece was featured on Monday, March 19th on Streaming Media Producer, an offshoot of the online video powerhouse Streaming Media that gives video content producers tools and techniques to better their craft. Streaming Media is a well respected industry magazine in the online video community and to be featured as a contributor is truly an honor. From my discussion with the editor, this will be the first of many “video articles” we do for them and I could not be more excited. You can click here to go to the Streaming Media Producer website to watch the video or check out their other articles (there is a lot of good stuff). The subject of the “video article” I prepared is how to create a “Happy Marriage” by using video and animation to complement each other in a piece. 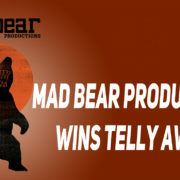 Exciting news in the world of Mad Bear Productions. We just found out that we won a Telly Award for the the video we did for PeriClean: A Brushless Toothbrush (check out the official news release here). 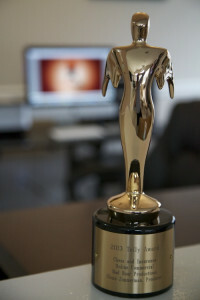 The video received the award in the “Internet/Online Video – Infomercial” category. Our goal was to make it more than just an “Infomercial” and this award suggests we were successful. Speaking for the company, I just want to say that I hope this award gives Jack Gruber and the rest of his PeriClean team an even larger platform to share their product with the world. It is always nice to win awards for work you’ve done and it is even nicer to help people like Jack follow through on a vision. In this case his vision is to help people take better care of their mouths. For those of you who haven’t seen the video please click here or watch in the player below. People’s eyes will be drawn to the video link. That means more real estate in Search Engine Results and increases click-through rate. Make sure your video title, description tags are keyword friendly and save video file name and URL in keyword friendly manner. For example, if you are trying to optimize for “How to install a dishwasher”, then make that the title of your video and write a description using “How to install a dishwasher” fairly early in the description. For each video, when you submit your sitemap you will submit a thumbnail image to Google. This tells them what still image to show in the search results. Be sure to consider an image which you think may be compelling for users to click on as this will increase your click-through rate. Make sure to submit a video sitemap to Google. There are video sitemap generation tools available. When you place video on your site, put it on a page which is also well optimized for your keywords (meta title, description, keywords, body content, etc). 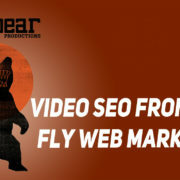 Click here to see some tips from the SEO experts at Blue Fly Web Marketing. Then try getting a few strong links into that page to get noticed by Google. If you want people to watch the video on your site, we generally think you should host the video through a video hosting company. Look into good video hosting companies like Wistia. If you host on YouTube, there are advantages, but when people click on your video from the search results, they will in almost all cases go to YouTube instead of to your site. Lastly, consider using a video transcription service. Search engines cannot “read” video- that is why your title and description tags are so important, but they CAN read it if you transcribe it and put the transcription underneath. In addition, your site visitors will appreciate being able to either watch a video or read the transcription as different people have different preferences for processing information. If you follow these few steps above, we think you are at a nice advantage. Video SEO is fairly new so there is less competition and we think it is a good way to help you stand out in Search Engine Results. Even if you are not in the financial world, if you saw Eddie Murphy back when he was funny talk about pork bellies in Trading Places you understand a little about commodities. Gold is a commodity. So is oil. 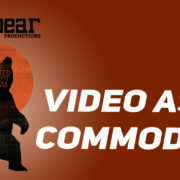 Even time could be considered a commodity but video… a commodity … how do you mean? First, I am not talking about the common YouTube video of babies, furry animals and craziness caught on camera. I am talking about videos used for business. Even in this context, obviously video isn’t found in the ground or growing on a tree. However, with the explosive growth of online video over the past several years and the over exposure of poorly produced, uninspired or predictable videos; the perception of video could clearly be seen as “a mass-produced unspecialized product”… with “wide availability” as Merriam-Webster defines a commodity. Whenever you are thinking about video this needs to be your enemy. Video should not be a commodity. When approached well, video is a tool specifically designed to do a job. Much like a scalpel or a steak knife. Both cut but don’t hand a surgeon one when he/she calls for the other. 1. Shoot from a certain perspective that is unique. The focus here could be capturing unique images or highlighting uniqueness through what is said. Ideally, you would like to do both. 2. Make sure your video is designed with your audience in mind. Not only should the message speak to them directly but it should be meaningful and hold key takeaway messages that they will remember. 3. 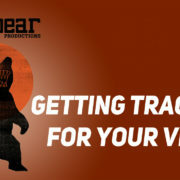 Make sure the video is effectively delivered and then tracked (i.e. Google Analytics) that way you can properly make sure it is doing its job. What has been your greatest video challenge? 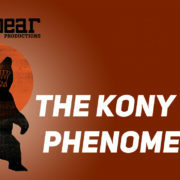 For those of you who haven’t heard about it or had a chance to watch all 30 minutes… Kony 2012 is a campaign to bring a man (Joseph Kony) to justice. Within a week, this video got more than 75 million YouTube hits and millions more on Vimeo. More exposure than years of conventional news coverage combined. 1) production value and storytelling — how was the organization that produced the piece able to get so many people to watch a 30 minute video online? 4) cost — any guesses how much the video cost to produce? Then of course there is the response video from Invisible Children (the organization that produced the piece). Did it answer concerns, add new ones or did it do nothing (was it a waste)? I will definitely jump in with some thoughts but I want you guys to lead the conversation… what is/was your reaction? 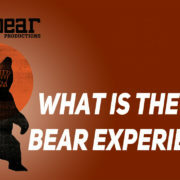 What is the Mad Bear Experience? The title is “A Conversation about Better Video for Business” and that is what we will deliver every month in this newsletter. It makes sense that video will be the theme of what is found here but we will explore video innovations in a thoughtful way. We will not dumb it down because we are writing and shooting for an informed audience. Many of our subscribers have the words marketing, advertising, sales and/or public relations in their tittles. These are people who have worked with video before but are perhaps looking for new approaches and technologies to better engage an audience. Other subscribers are business owners who are rethinking their current marketing budgets and considering how video might play a role. There are also hundreds of other people who just want to see what a bunch of video geeks will come up on a monthly basis. Each issue will have a theme that we will explore in a thoughtful way. This theme will be expanded to our network of experts in supporting areas like SEO (Search Engine Optimization), Social Media and Web Development/Design. These experts will be given a platform to add their 2 cents on the theme to help make this newsletter even more robust. 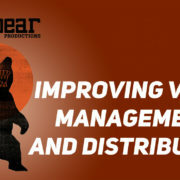 Ok… so you will also get a simple overview of the past month in the world of Mad Bear Productions — complete with news and snippets from our blog. In future issues, we will perform product tests that will range from cameras to codecs to delivery platforms. The “Experience” will always be a mix of video and text but the content in the video and text will never be the same because while video and text support each other they serve different purposes. 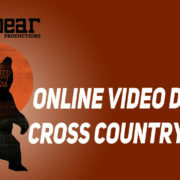 We hope you enjoy and share the “Mad Bear Experience” with your friends and colleagues! To subscribe please just click here and sign up…. 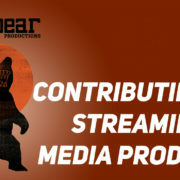 https://www.madbearproductions.com/wp-content/uploads/2012/03/What-is-the-Mad-Bear-Experience.jpg 731 1280 Glenn Zimmerman https://madbearproductions.com/wp-content/uploads/2017/05/Mad-Bear-Logo-614x171.png Glenn Zimmerman2012-03-14 01:25:322017-04-29 12:21:16What is the Mad Bear Experience?